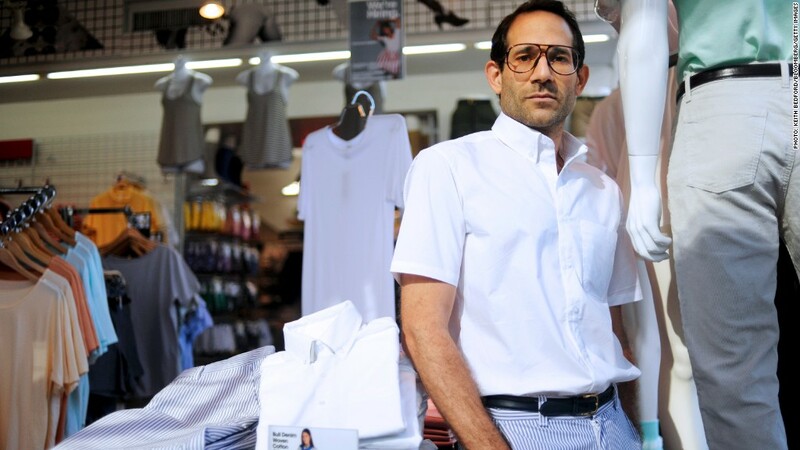 For Dov Charney, the press release announcing his firing last week was déjà vu in the worst way. It was his second ousting in less than a year, and was an unexpected turn of events. That's because when American Apparel's board fired Charney for the first time in June, he almost immediately began charting his comeback. At the time, the board said it had learned of "disturbing" information that suggested "misconduct" by Charney, American Apparel's founder. Still, Charney wasn't entirely out. The board kept him on as a consultant. And in July, Charney turned to hedge fund Standard General for help. Standard General agreed to buy a large portion of the company's shares. In exchange, Charney handed the hedge fund voting power of his shares, enabling the fund to secure a majority of the board seats. The hedge fund promised Charney an internal review into his conduct, which included reports of sexual harassment. It's unclear exactly what additional assurances, if any, Standard General made to Charney in return. Initially, Charney thought he'd be back as CEO, according to people familiar with Charney's position. And throughout the summer, Charney had several conversations with Standard General, and asked about getting representation on the board. By the fall, Charney and Standard General began to hammer out an agreement that would provide a framework for his involvement with the company. Charney wouldn't get to be CEO, but he did help find a CEO, Paula Schneider. Charney assumed Schneider -- presumably a Charney ally - would get a board seat. Charney's attorney says American Apparel ultimately "offered him a substantial amount of money to play a leadership role." A source close to the company acknowledges that there was an offer but disputes the level, saying it was just a consulting role. As of early December, Charney hadn't formally committed to the terms of the offer. One of his issues: The new CEO wouldn't be getting a board seat. A person familiar with Standard General's position says board composition never arose as a formal condition to his employment offer, which Charney disputes. A person close to discussions says that the board was willing to give Schneider a seat at some point in the future. Charney faced a tough choice. Having handed Standard General control of the company and with an ethical investigation hanging over him, he had almost no leverage. Complicating dynamics further: American Apparel (APP) received a buyout offer from private equity firm Irving Place. A source close to Charney says the possibility of a takeover bid caused Standard General to hunker down. A source close to the company said the Irving Place bid had nothing to do with its discussions with Charney. To force a decision, Standard General gave Charney 10 days to respond to the results of the internal review, the results of which were unfavorable to Charney. In the end, the internal review served as a justification to "terminate" Charney last week. Now, Charney's attorney is calling the review investigation a "sham," claiming that Charney was not allowed to respond to charges and that not all evidence was considered. Standard General says the investigation was "independent" and "thorough." A source at the company also said Charney was given an opportunity to respond. Charney is vowing to fight...for the second time.